Tagliatelle (not spaghetti) is the preferred pasta served with ragù, Bolognese meat sauce. The original message by Bologna Mayor, Virginio Merola, was posted on Twitter, Feb 25, 2019. In my humble opinion, ragù does go better with tagliatelle rather than spaghetti. 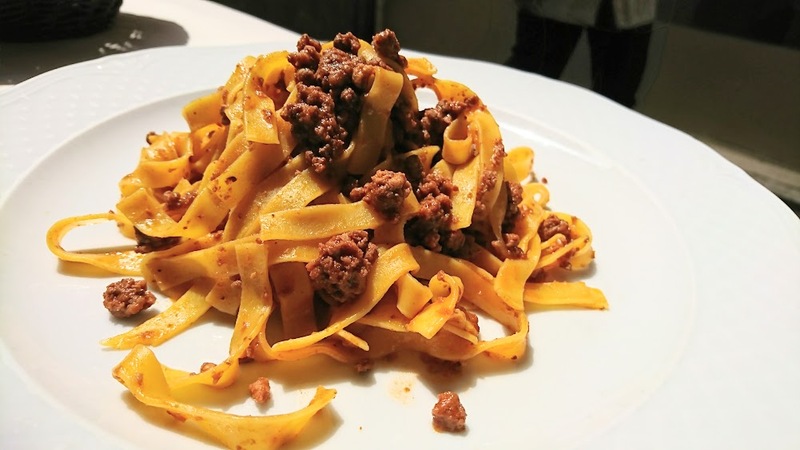 The sauce and meat cling to the slightly courser texture of the tagliatelle leaving each bite flavorful. The smooth, slippery surface of spaghetti makes eating ragù a bit messy. However, I wouldn’t go so far as to say it’s fake news or a sin. Good ragù is good ragù, no matter what pasta you serve it with!